As I walk through the lively and crowded central market in Osh city, soaking in the sound and smell, it is hard to believe that just five years ago many parts of this market were destroyed and burnt down during the ethnic conflict in June 2010. Osh city, located in southern Kyrgystan, is the second largest city in the country after Bishkek, the capital. The impact of the 2010 conflict is still visible in several parts of the city today. 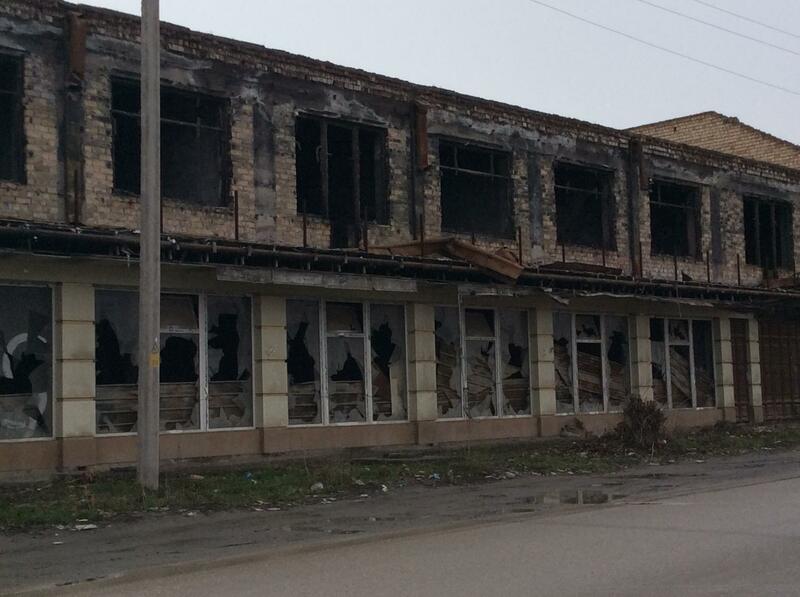 For example, along Alisher Navoi Street some buildings which were destroyed during the conflict still lay ruined. A building still in ruin today along Alisher Navoi Street. Another building along Alisher Navoi Street which has not been rebuilt. I navigate my way through the narrow lanes in the central market, avoiding pools of mud and the human traffic, trying to catch up with Juldyz and Kristina from Bai Tushum Bank. We are on the way to meet two small business owners who were impacted by the conflict. Buzainap's small business is thriving at the Central Market today. 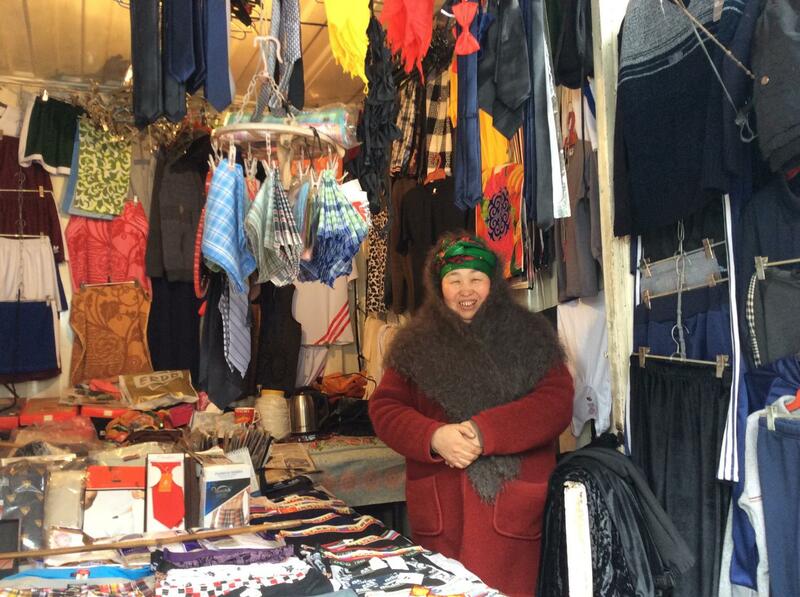 These are the words of Bulzainap who owns a small shop at the central market of Osh city, selling men’s clothes. 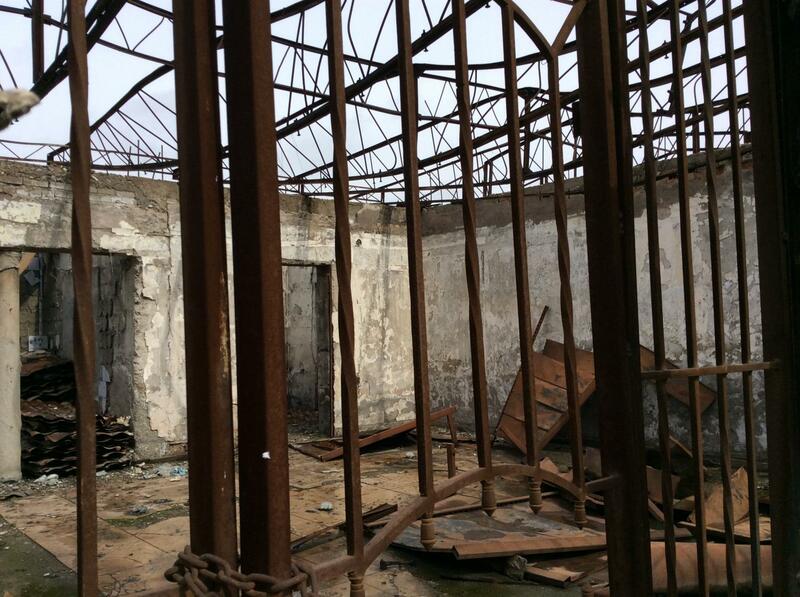 During the 2010 conflict, everything in her shop were destroyed in a fire. For safety, she sent two of her children to relatives in Karakol, a town in eastern Kyrgyzstan, while she stayed at her home in Osh. Her husband was in the military at that time and there was no news from him for a week. She was worried. 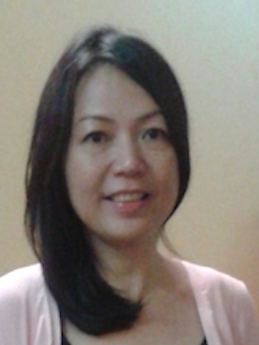 She had no other sources of income then, a small Kiva loan of 50,000 Som (about US$1,075) through Bai Tushum Bank was the only possibility to restart her business. With the loan, she bought new supplies from Karasuu, a nearby town, and rebuilt her shop. After a month, she restarted her business on a trolley by the roadside while waiting for her shop to be ready. “My children had to continue their studies in Osh and my business was important to ensure they go back to school,” she explains. Today, her business at the central market is thriving and she has taken up another loan from Bai Tushum Bank to grow her business. She is now selling a wider variety of men’s clothes for different seasons of the year. She is planning to use the savings from her business to open another shop and also to repair her house. Nurmamat dreams of opening a pharmacy business. Those were the first thoughts of Nurmamat after he and his wife lost their business overnight at the central market of Osh city. 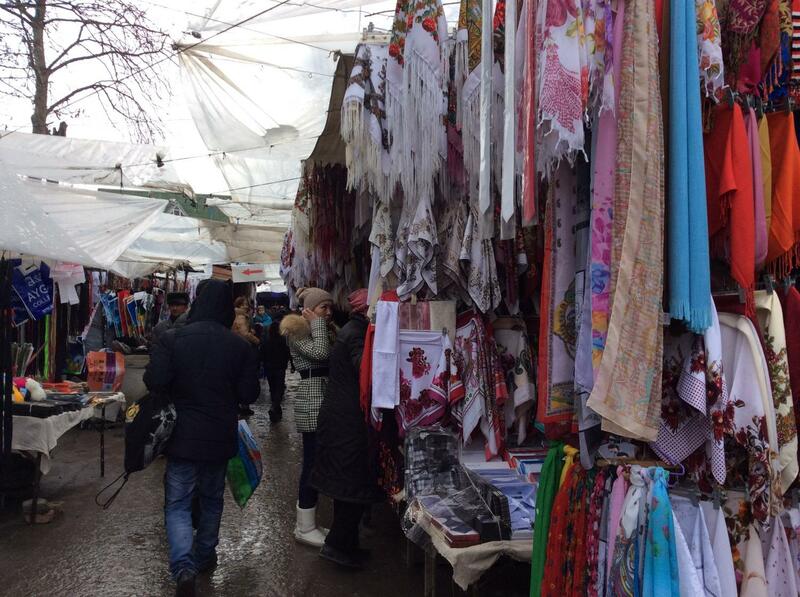 They specialized in selling plastic table cloths and other household products. 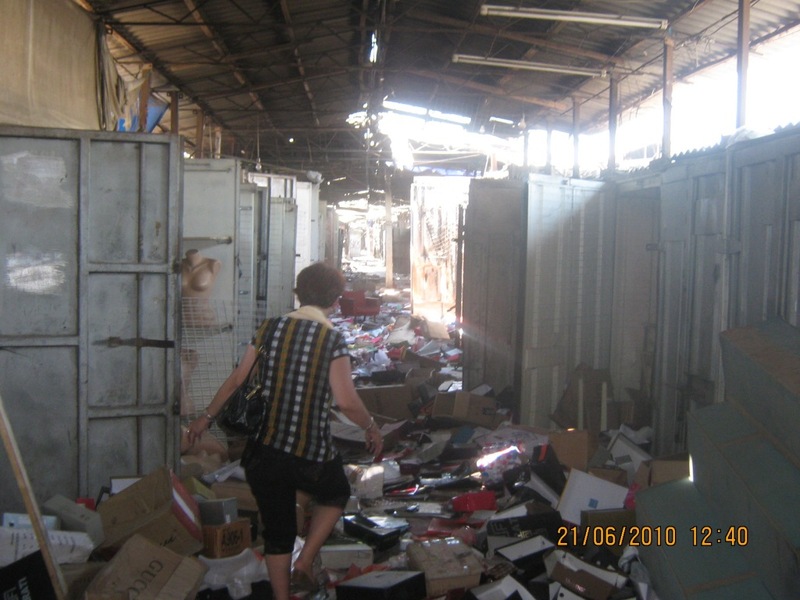 All the products were destroyed and their shop burnt down during the 2010 conflict. For a few weeks, his wife and three children stayed at their home in Osh to keep safe while he looked out for news from neighbours on the situation in the city and sourced for means to restart his business. When the situation in the city improved, he took up a small Kiva loan of 135,000 Som (about US$2,925) through Bai Tushum Bank. 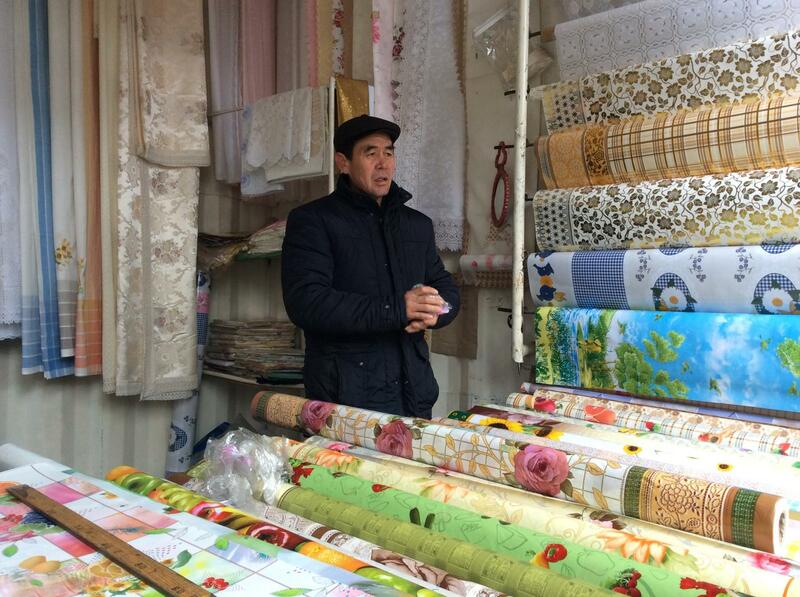 With the loan, he bought new products from Doldoy Bazaar in Bishkek and rented a temporary place to sell the products while waiting for his shop at the central market to be repaired. It took almost two months before he returned to his shop at the central market. He is now hopeful for the future and says he dares to dream again of his wish 20 years ago to start a pharmacy business in the city for his wife and daughter who are qualified pharmacists. *Bai Tushum Bank, a partner of Kiva, has a loan product designed specifically for small businesses impacted by conflicts or natural disasters, please click here for more loans from the Bank. I want to specially thank the team from Osh branch office at Bai Tushum Bank (pictured below) - for sharing photos, personal experiences and showing places in the city where the impact of the 2010 conflict is still visible today. I am inspired by their passion in assisting small businesses to recover from the conflict and in continuing to support those businesses today. 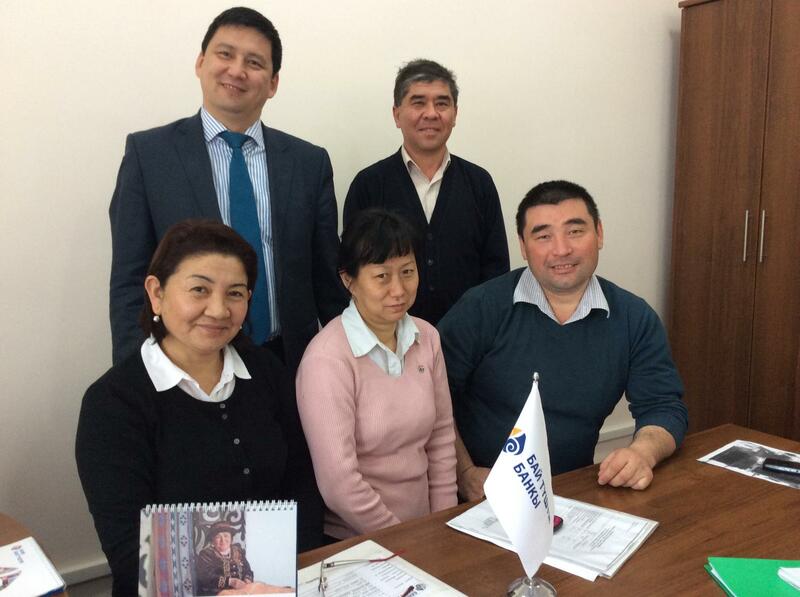 Team members of Osh branch office at Bai Tushum Bank.